To study to become a qualified medical artist in the UK can be achieved through various relevant courses. There are a few relevant courses in the UK to study medical illustration and one such postgraduate training programme is completed through Medical Artists’ Education Trust or MAET. The Course is carried out at Guys Hospital, London and previously at The Royal College of Surgeons’, London where students are taught anatomy and art and where they can access the cased specimens of human anatomy. The course is carried out by experienced tutors who progress artists both in artistic skills as well as human anatomy study. The course has a syllabus where a student will produce a portfolio of work and have to pass a series of examinations and produce a thesis and on successful completion be awarded a professional qualification. The course can take between 2 to 5 years as it is a part time course to be carried out as self study. 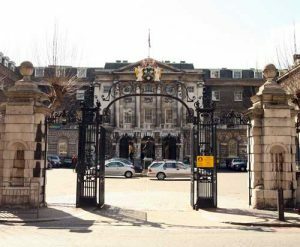 The work is assessed with monthly seminars held at the either The Royal College of Surgeons’, London, or Guy’s Campus, London. Those keen to learn more should visit the site as there are ‘Taster Days‘ where you spend the day with the students and tutors to find out if this course and potential career is for you.